Deskjet 450 cbi mobile printer, Deskjet 5150, 5550, 5650, 5850, 9650, 9670, 9680 printers, Officejet 4110, 5510 and 6110, PhotoSmart 100 130, 145, 230, 245, 7150, 7260, 7350, 7550, 7660, 7760 and 7960, PSC 1110, 1210, 1350, 2105, 2108, 2110, 2210, 2115, 2150, 2175. Our company is highly esteemed in providing Inkjet Cartridge. We are a renowned name, which is involved in providing a broad range of Single Color Inkjet Cartridge. Our product is enormously employed due to their top features. 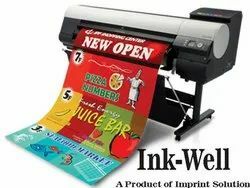 Backed by our adroit team of professionals, we are able to provide our clients with an assorted gamut of Inkjet Cartridge. Prcie Range : Rs. 600 to 1000 Per Piece. In order to fulfill the ever changing demands of our clients, we have been engaged in offering an extensive assembly of Color Inkjet Cartridge. 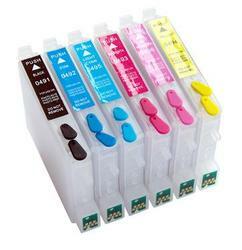 This range of ink cartridge is used for printing both polyester and BOPP film. These are also customized according to our customers given specifications and dimensions.